/ Jesus Told His Disciples What the End Starts With, But Do You Understand It? Jesus Told His Disciples What the End Starts With, But Do You Understand It? Jesus’ disciples asked him the very question that every Christian still wonders today: how do we know when you’re coming back? Amazingly, Jesus answered by giving the actual "signs of his coming and the end of the age." He didn’t refuse! We can read his straightforward answer in Matthew, Mark and Luke. Yet Christians don’t understand his answer as evidenced by how they fall for every speculative counterfeit end time sign theory hatched by Christian prophecy theorists in its place. Find out what you’ve been missing in Jesus’ answer so you understand the real signs of his coming and never have to fall for another false prophecy theory again. When asked by the disciples, “Tell us...what is the sign of your coming and of the end of the age?” (Mt 24:3) Jesus did not refuse to answer. He plainly told them what to look for in the future to know when he was coming and when he was not. His answer began with two preliminary signs that would happen long before the end and ended with a few of the actual signs of the end and his coming just like the disciples requested. This made for a very balanced and clear answer. Or so you would think. You've probably read Jesus' answer on these end time signs dozens of times. But I guarantee you have never understood it because there is a major problem with it. Nevertheless, you may think you do. I've met many who claim to. However, if you did understand the answer, you would have confidence to make long term plans like marrying or remarrying, having a child or another child, moving or buying a home or going back to school for further education, starting a business, etc. You would not be wondering how to tell if Jesus is coming back soon or not. You would not question whether he can come back this year or next. You would know you are safe to live your life and pursue your goals and dreams without them being interrupted by the end of the age. Moreover, you would never fall again for another speculative or date-setting prophecy theory that many Christians end up following year after year. You wouldn't fall for these counterfeit theories because you'd already know the real answer from Jesus himself on what he said were the “signs of his coming and the end of the age” (Mt 24:2). By the end of this article you will indeed understand Jesus' words like never before and have confidence about where we are in prophecy. If you still think you understand Jesus' answer, you may change your mind when we see it broken down and dissected logically. Let's do that now. Notice there are two predictions (labeled H1 and H2 in brackets by each one above). History clearly shows Jesus was right that deception in his name followed soon after and has continued to this day. Same with wars and rumors of wars. Nothing unique in either of these. Not signs of the end because they have been with us from the beginning and continue. Real signs of the end must be unique or unprecedented for them to be useful gauges of a special time called the "end of the age." By the way, this statement by Jesus that "the end is not yet... For/because" contradicts the popular "imminent return of Christ" doctrine you may have been taught. That doctrine states that the reason Jesus said "no one knows the day or hour of my coming" is because it is imminent or able to come at any time without a prior prerequisite event. However, Jesus in the above verses connects his coming with the end of the age and promises to reveal signs of when the end is finally arrived. The "for/because" introduces the next couple verses where he will finally cover these "birth pain" signs of the end of the age when his coming is possible (labeled B1 and B2). In other words, until we see what he lists next, his coming is not possible and not imminent because the end has not yet arrived. Matthew 24:7-8 (HCSB) — 7 For [B1] nation will rise up against nation, and kingdom against kingdom. [B2] There will be famines, and earthquakes in various places. 8 All these events are the beginning of birth pains. Here he gives the end time signs that immediately precede his coming. But do you see the difficulty with what he said? Firstly, the first birth pain sign (B1 - nation vs. nation and kingdom vs. kingdom ) is too similar to the first historic sign (H1 - wars and rumors of wars). Both talk of wars. One is rumors and wars and the other is wars and wars (with no rumors mixed in). It's impossible to differentiate the two of them just from what he said alone. The Beginning of Birth Pains? When you carefully analyze Jesus' words like that, it's difficult to defend them. We all naturally want to rush to Jesus' defense and read his words in unconventional ways to explain how they do make sense. But all the attempts and approaches require stretching or torturing the words out of their plain meaning or plain context. But there is no mistaking what he is plainly saying here. 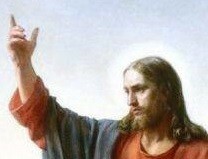 He shared what would happen before the end so his disciples would not be alarmed or confused thinking the end had come. He then pivoted into the end time signs using the word "for..." Further, when he finished with these end time signs, he labeled them "birth pains." Of course, a woman endures birth pains only when she has come to the end of her pregnancy and has begun to deliver her child. Jesus is saying that his own coming is also preceded by difficult pains. Let's remember that in 280 days of pregnancy, a woman finally only has birth pains in the last day or two. She does not have these in the previous 278 days of her pregnancy. They are unique to the end. For Jesus to label certain events as birth pains, they would similarly only come at the end of the 2000 year waiting period we've been in since his first coming. They could not be events that match anything over the last 2000 years. They would be unprecedented. In this way, when we finally do see them, we could know that we are finally near the end of the age and his coming. Yet, again, wars, earthquakes and famines in various places are nothing special. Is it any wonder every generation has thought they were the last generation? They see a temporary increase in severity of any of these things and guess that this is what Jesus meant. But a woman's birth pains do not start as soon as she is pregnant and slowly increase over time. They come suddenly and severely and only at the end. And by the way, contrary to claims by many trying to explain Jesus' words, earthquakes are not on the increase in this century. That's not my opinion; it's what the authorities on earthquakes say, the USGS and British GS. Then what's the answer? You'll be pleased to know Jesus is not to blame. He did not give some impenetrable, mysterious or allegorical answer that we have to torture, struggle with or speculate about. Instead it looks like a Greek scribe or translator is to blame for the difficulty of the passage. Matthew 24:7 (Hebrew Roots Version) — For nation will rise up against nation, and kingdom against kingdom. There will be famines, and earthquakes in every place. Instead of earthquakes and famines in "diverse" or "various places," it says they would be in "every place. Do you understand the difference this makes? Earthquakes and famines happening in every place at once is at last a unique sign. It's unprecedented in recorded human history and therefore could serve as a sign of something new: the end of the age. But what could cause this? It certainly points to a global cataclysm or a violent upheaval on the planet. If you have seen your share of Hollywood disaster movies, you might already have a guess at the source. But you don't have to guess if we look at the parallel passages to this text in Luke and later in Revelation. Luke 21:11 (HCSB) —There will be violent earthquakes, and famines and plagues [pestilences] in various places, and there will be terrifying sights and great signs from heaven. According to Luke's account, Jesus also mentioned plagues to go along with the earthquakes and famines and something else that helps us identify the cause. He says there will be terrifying sights and great signs in the heavens. If you see something new in the sky getting bigger as it approaches earth, this would be terrifying because of the possibility of a collision or impact. The movie Deep Impact portrayed exactly such a scenario. Revelation 6:12-14 (HCSB) — 12 Then I saw Him open the sixth seal. A violent earthquake occurred; the sun turned black like sackcloth made of goat hair; the entire moon became like blood; 13 the stars of heaven fell to the earth as a fig tree drops its unripe figs when shaken by a high wind; 14 the sky separated like a scroll being rolled up; and every mountain and island was moved from its place. 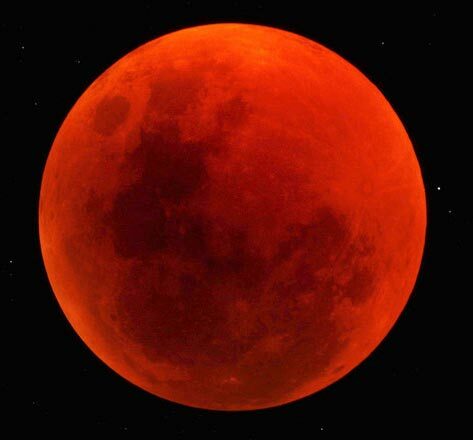 Revelation describes solar and lunar eclipses, meteor showers and the sky departing which would match the terrifying sights and signs in the heavens Jesus described. As well, we have here a violent earthquake. It must be a global earthquake in "every" place because it moves "every" mountain and island out of its original place. All this is unique and unprecedented and makes for actionable end time signs just as Jesus clearly intended to give. All of this points to this new named body Wormwood coming close enough to earth to gravitationally and (to some degree) physically interfere with our planet. Very scary stuff, but I did not cover this to scare you. We were trying to understand the very practically useful answer Jesus gave for the sign that his coming was finally near. Now we know what it is. Jesus was predicting an end time global cataclysm brought on by something new from space, something terrifying. Also, based on his further words in Matthew 24, this all happens before before the Great Tribulation and before the rapture. What this means is that until this global cataclysm comes, the end of the age has not begun and Jesus' coming is not near. No matter what theory you hear from even fellow Christians to the contrary, do not believe them. Believe the words of Jesus only. He said to look for severe global earthquakes and famine as the sign of the end of the age. "Take heed that no man deceives you" (Mt 24:4). Accept no substitute counterfeit theory that comes down the pike, no matter who says it. If you're worried about going through this, don't. 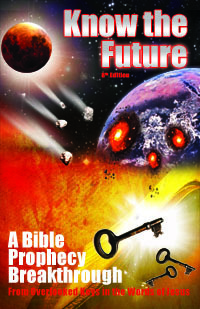 Prophecy covers how God has an end time escape plan for all his servants. You will be able to take part in it when the time comes just because of the same desire to know and follow God's word that led you to find and read this article today. Again, don't worry as God has to make an escape plan that we can all qualify for no matter how little we understand of the Bible, how little we pray, how little we fast and how often we seem to fall short. In my book, I explain that escape plan in detail and also how an unknown rogue dwarf planet could indeed exist and not be detected yet by scientists. Also how the mechanics of it passing close to the earth could explain all the things Jesus and Revelation describe, including things not covered in this article. (Note, this is not your daddy's Planet X theory). I thank the power of the Holy Spirit for leading me to your site and I am greatly blessed by your articles. Most of our local pastors here in my place in Philippines i observed that their Sunday messages do not really deal on this very important issue of End Times. This is the reason why i read and read thru Internet this subject so i could also share them this very important forthcoming event. In this article you quote Rev. 6:12-14 describing great earthquake making the sun black and moon as blood. This is followed in verse 13 about starts in heaven fell unto the earth like a fig tree casteth her untimely figs, when she is shaken of a mighty wind. In verse 14.. it says that every mountain and island were moved out of places. I keep on reading these verses and often this mountain subject keeps on coming to my mind as the mountain described in Daniel 2:35 which is the mountain of God that fill the whole earth.. it represents the Kingdom of God. So if we talk about mountains in Rev. 6:12-14 could it be that these stars represent the kings and princes and their kingdoms and all the rich and known people in the world whose richness, business empires are shaken by mighty wind (wind as we can say strike from everywhere) .. In my readings, i came to understand that God is coming to the people.. everyone will be shaken when He comes. These kings and wealthy people are the ones who control the flow of money, goods and services in the world and if they themselves are shaken.. every currency is worthless.. chaos will prevail.. no money to buy goods, no goods available just like what happened at food riots in Venezuela.. we can just imagine the kind of upheaval as everyone very hungry scrambles and kills for food.. everyone is dependent on services as source of income to buy goods and services.. people go to the cities to find jobs insteadd of staying to plant agricultural crops.. may want easy jobs and money..maybe this could be one reason why some prophecy says go out from the cities? One of your article.. How We Escape the Great Tribulation is very apt revelation of the End Times..
maybe you also have written articles about this concern? I thank the Lord for your life sir.. i like to buy your books but its hard for me to do that.. so i just printed these articles and i have all the intentions to share these to my congregation and to other church congregations as well.. MAY GOD BLESS YOU MORE SIR..
Rev 6-8 is all literal, but in a way that’s very hard to understand without lots of research including into catastrophism and astronomy. Read my book article here and search the Planet X category on this site http://escapeallthesethings.com/planet-x-nibiru-wormwood.htm to understand how explaining Rev 6-8 literally is what opened up Revelation for me and my readers. Contact me if there is some way I can help you purchase the books there. Carol, the Bible does not say about pets and our place of safety on earth anymore than it does about dogs going to heaven. But I don’t see why pets can’t come with us to safety. I would not worry, God plan’s are usually excellent, yes? Hello! I was just reading the two verses that have predictions in them, and I was wondering, couldn’t a nuclear war also trigger this? I mean, terrifying signs and great sights in heaven, the sun goes black, mountains are moved (completely bombed to bits), etc. I was just wondering! Thank you so much and praying for you. Sam, sure, you could say a nuclear attack fits some of that, but nuclear bombs don’t trigger a global earthquake that moves every mountain and island out of place (Rev 6:12,14). Nor do they cause an object the size of a mountain to fall in the ocean from space so that it burns with fire, nor for the calendar to change. Only a dwarf planet passing close to earth explains the massive changes and massive amount of material pummeling the earth from the 6th seal to the 4th trumpet. September 23rd came and went. No rapture. I thought “I wonder what the false prophets would have to say now”. Unbelievable, some came out with all sorts of answers, mixing up the order of prophecies in the Old and New Testament and now, in utter bewilderment, are advancing the new date 30th September, today. Here in England, it is 30th September, almost midnight, no rapture. It is night time here, so we are virtually SLEEPING. Hmm, I said, “Two will be sleeping, one will taken away and one will remain”, so that’s this side of the world, England… Ah, but in America, or the other side of the world “Two will be in the field, one will be taken away the other will remain”. My logic took over and I questioned who would be in the field at this time of the year. No one, unless walking the dog, but not working in the field end of September. These false prophets have duped us, even using Scriptures to sustain their lies. But I have learned something, so this experience was not in vain. I now believe that ‘no one knows the day or the hour’. Those brief words from Jesus mean just that. NO ONE. We suffered the intimidation of these false prophets who labelled us as mockers and scoffers, we, they said, who do not believe the Word of the Lord! They extended their accusation, stating that if Daniel had been like us, and John when he wrote Revelation, we would not have the end times prophecies. Let alone the fact that they took advantage of the hurricanes Irma, Jose, Harvey and the earthquake in Mexico, as God’s wrath on America. North Korea didn’t help with the nuclear threat hanging around our neck! Then, the alignment of the planets, the same alignment as at Jesus’s birth, the dragon throwing to the Earth the stars and what have you. These last two weeks were the worst spiritually, of all my life. On 23rd September, I went to bed, fell asleep and on 24th, as I was still there, I wondered if I had been left behind, switched my TV on, nothing mentioned. I thought the media, as usual, may be concealing that millions were missing, although this I would soon find out, by hearing of catastrophes here and there, actually everywhere, caused by the rapture. NOTHING. I am now cured of my apprehension, and will read your book again Tim, as this is a true analysis of prophecies. You have shown insight without embroidering scriptures, showing the sequence of Old and New Testament prophecies. A very accurate book indeed. You have shown boldness in defying the false prophets, as, had they been right, your credibility would have been at stake. Tell me, did you know about the hurricane sweeping and flattening Puerto Rico? I believe you were considering living there at some stage, but opted for Israel? Michelle, sorry for your bad experience with the false prophecies. On the brighter side, it seems it has worked to improve your discernment so maybe the next ones won’t deceive you. That’s what the Y2K theory did for me. P.S. I lived in Costa Rica (not Puerto Rico) and moved to Germany as my support team study explains. I do not come a religious family but had the privilege of going to a Christian school most of my life and I have kept my faith. I will admit I wasnt a very good Christian during my high school years so to speak and put Jesus on the back burner. Then he showed himself again to me after high school when I went to work at a Salon when i was 18 (i didnt know they were religious at the time time) and my eyes were wide open. I worked there for 2 years and was baptized and even went to their church a few times. All they focused on were the end times. And man did all of that scared the bejeezus out of me. I wasn’t/still not ready to die yet but then I guess no one is. I am soon to be married and have a little girl. I mean I can see end times may be in my lifetime or the next. But my fear is my family, even my fiance, that are non believers will not be with me. Besides wanting to live out my life and enjoy the pleasures Jesus allows us to have I dont want to leave them behind. I talk to them about Jesus when an oppuritunity represents itself but all they do is laugh. It really can make me cry. I love fiance and my family so much and knowing that they face the fiery pits of hell for eternity breaks my heart. They arent bad people they just dont believe. I cry and pray daily for them. I dont want them to be in pain for eternity. I don’t know what to do :'(. I was wondering if a massive asteroid could cause the same effect as a dwarf planet? I also wonder how much warning we may have, as the astronomers track heavenly bodies and try and work out how close or dangerous they will be to earth, that is, the ones they know about. Like Courtney, the last commenter, I do worry for my family, grandchildren etc. Phil, sure, but I’ve never heard of an asteroid just under the size of Mars. Asteroids do have the advantage of being darker reflecting little light which I think Wormwood must be to escape detection years in advance the way Rev 6 seems to depict. People fear the word of God because it has a finale, but so does death. This came about for the same reasons you worry about your family and grandchildren. God endured witnessing what they did to His only son. Imagine the pain in His heart? In Genesis 6:6, God wanted to end all life on earth, but God found favor in Noah. When God was really going to destroy us after Noah, Jesus was sent as a messenger from God and He was able to perform miracles, etc., and so He was publically put to death for no good reason as God waited and watched. Had Jesus not ask God to forgive us, we would not be here today! As it stands, God will not allow Satan to make a mockery of Jesus and so each time we sin, Satan laughs at God. For this reason, He must destroy all life as we know it. However, there is a way out and God gave it to us as the ultimate test of faith. To believe, have faith and trust in His Word. Do not worry about anything, if you trust in the Lord your transition will be like the blink of an eye as it will be for all your loved ones! God is good everyday and everyday God is good! I’m sure there in much validity in many of your translations, but I ran into one which is slightly incorrect. When you try to explain that we have always had wars and earthquakes in various places, etc., I find that to assume that over 2,000 years ago people had the knowledge or the technology we have today is contradicting. No one knew that if there was an earthquake at Yellowstone 2,000 years ago, or Japan, or anywhere else for that matter. The statements which Jesus or God have made can be translated in many ways, but what they have said relates to the past, the present, and the future and it must be taken literally! If the Native Americans were fighting the British, who in Japan would know? No one. Jesus spoke of things no human at 33 years of age knew about or could predict. The only reason we know of all these things is because we have radio, satellite tv, computers, cell phones and so this information is ready at the touch of a finger, this is how I found you. In Revelations when God spoke of His two disciples which would walk through the streets of the Holy City preaching the gospel and that they would be slain and lie in the streets for all nations and tribes to see. In order for someone to make a statement like that would means that in the future we would be able to see the two men lying in the streets anywhere through modern technology. As it turns out, we can watch world news in an instant! So for these reasons, I reject your explanation with the love of a brother in Christ. Now, when the heavenly signs + earthquakes “in all places” concurrently comes as Jesus said in contrast to the presumed, false signs of deception and wars, (same as Revelation 6:12- says), then the end is here. Before that, when you hear of any wars or even rumors of wars, “don’t be alarmed.” He said nothing about where the rumors came from, how far away, their accuracy or frequency. 2000 years later, he has proven quite right about wars continuing but no end yet. I look forward to the Lord’s return and more souls being saved but am 55 and never married and would like to experience this as there is no marriage in heaven between humans/only the marriage supper of the lamb.